Milan, 21st May 2018 – Tourism in the Sultanate of Oman continues to grow and beat the records. In the first quarter of 2018, the Sultanate of Oman welcomed 35.984 Italian travelers, registering a 131,2% growth compared to the same period last year. As a consequence, Italy is currently Oman’s third European market, after UK and Germany. At an international level, a 41,2% increase has been registered In the first three months of 2018, with a total number of 530.758 tourists from all over the world who chose the Sultanate as their travel destination. “After having experienced a 35,3% increase in 2017, Italian arrivals continue to rise, thus resulting in a double-digit growth over the first quarter of 2018. These achievements are the result of a two-tier strategy: on the one hand, we have always been promoting the destination to individual travelers; on the other hand, we continuously aim at positioning the country to medium/high-cultured travelers. The impressive results are due to the incredible success of the so-called «Salalah operation», supported by reliable tour operators such as Alpitour, Eden Viaggi, and Veratour and consisting in providing direct flights to this vacation spot” – said Massimo Tocchetti, Representative for Italy of the Sultanate of Oman Tourism Office. “To continue in this direction, we will keep supporting the market in partnership with Oman Air, both on the trade front and towards the consumer, offering unique experiences to each different tourist target”, he added. As announced, 2018 will be a year full of news. First of all, the new Muscat International Airport has opened and is already contributing to improving the travelers’ experience, determined to become one of the 20 best hubs in the world by 2020. Among the other innovations, new tourist visa rules have been introduced to speed up the entrance in the country. Capitalizing on the positive moment, the main airlines are implementing their services. Starting from March, Etihad Airways added new flights from Rome to Abu Dhabi, in connection with Muscat. On 13th June 2018, the low-cost company flydubai will launch a new route from Catania to Dubai, with connecting flights to Muscat and Salalah. Oman Air, the Sultanate’s flagship airline, has recently been recognized as “The Middle East’s Leading Airline” in both the Business Class and Economy Class categories at the last World Travel Awards. Considering the growth in arrivals, also the hospitality sector is upgrading its offer. 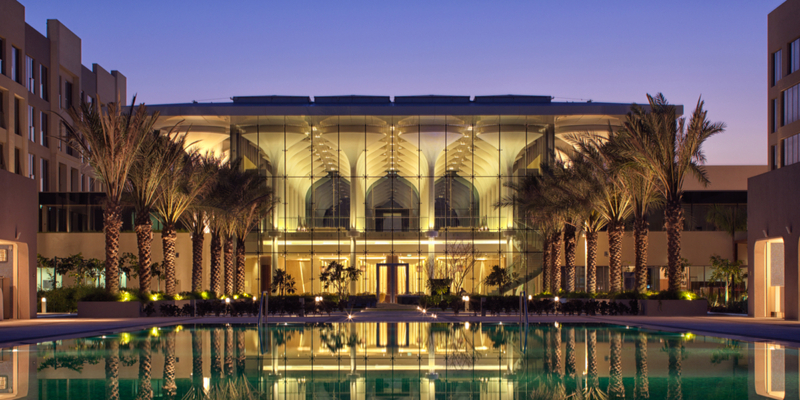 New openings in the capital include Kempinski Hotel Muscat, Mysk by Shaza, Hormuz Grand Muscat and Sundus Rotana. A number of events are also scheduled, starting from the ones of the Royal Opera House Muscat, whose 2018/2019 season has just been announced. For those who love sports, Oman Sail is organizing two major events in 2019: the Al Mouj Muscat Marathon is scheduled for January, while the Mussannah Race Week – seven days of sailing events – will be held in February at the Al-Mussanah Sports City.